Susan Heim on Writing: May I Suggest Giveaway Hop: Enter to Win 3 Amish-Themed Paperback Books! May I Suggest Giveaway Hop: Enter to Win 3 Amish-Themed Paperback Books! Welcome to the May I Suggest... 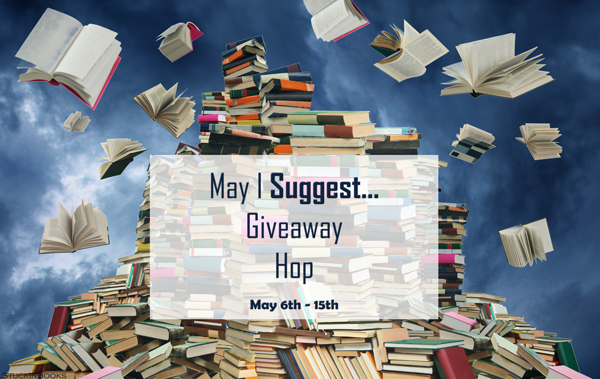 Giveaway Hop hosted by Valerie at Stuck in Books! Every blogger participating in this hop is giving away a book (or gift card to purchase a book) that they highly suggest you read! So, after entering my giveaway below, be sure to hop around the linky to visit the other blogs participating in this event. Enter through the Rafflecopter form below. This giveaway is open to U.S. residents only and ends at 11:59 PM ET on May 15, 2017. Now hop around to these blogs for the chance to win more great prizes! Disclosure: I received complimentary copies of these books, which I am donating for this giveaway. This post contains my Amazon affiliate link, and I will receive a small commission on sales made through this link.